Is Condominium living right for you? It appeals to many people at various stages of life from the first-time single buyer to the retiring boomer couple looking for no maintenance to invade their well-earned freedom. Condo life, however is not for everyone. How to determine if condo life is for you? If you like turn-key living, no exterior home maintenance and love a neighborhood, then it just might be what you are looking for. Are you interested in the ability to travel for periods of time without worrying about your home? Are you happy with community life? Being in close touch with neighbors? Do you enjoy sitting by the pool without a care for the cleaning and upkeep of said pool? Are you ok with rules and by-laws? Condominium living is accompanied by rules and covenants. Condominiums provide an instant neighborhood, so if you want space to spread out, they might not be for you. Do you like to a garden and some grass? You’ll have to resign yourself to patio gardening, if possible. Do you have lots of stuff that you don’t want to part with? Most condos don’t have a lot of storage. Apart from the occasional 5 X 8 space in the basement, you’d have to rent a storage garage, or impose on that relative with the extra storage space in his garage. If you are considering using FHA financing for your condominium purchase, be aware that some condominium communities in Frederick are not eligible for FHA loans. If you are looking to buy a property with an FHA Loan, one of the first steps is get the properties you are looking at approved by an FHA Appraiser. FHA Approval ensures that a property is safe, secure, and meets the HUD’s Housing Quality Standards. 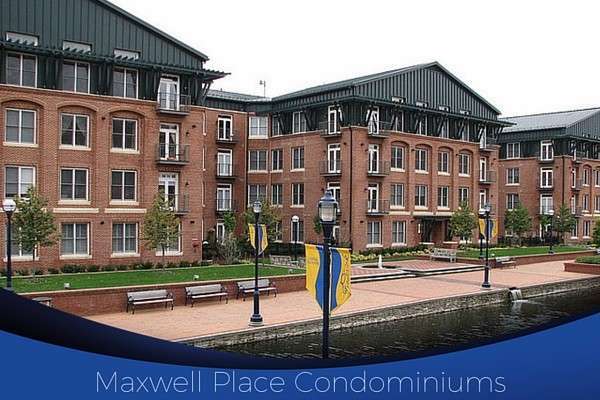 See all condominiums for sale in Frederick Maryland the minute they go on the market.